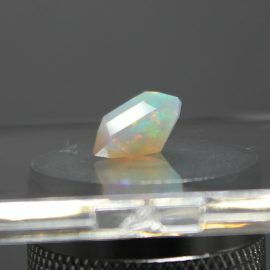 Here we have a classic and amazing center piece gem. 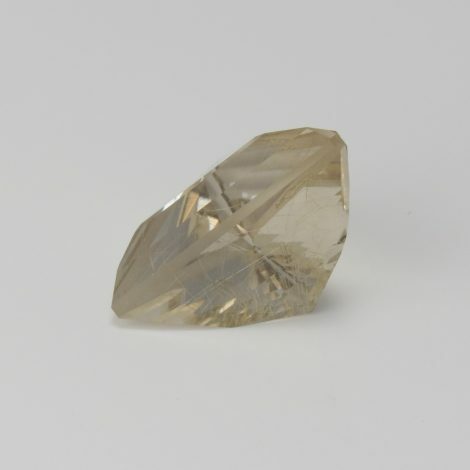 It's clear crystal with golden rutile strains inside transforms this 18.8 carat gem into a intricate network of fine golden lines that captivates the imagination of all admirers. 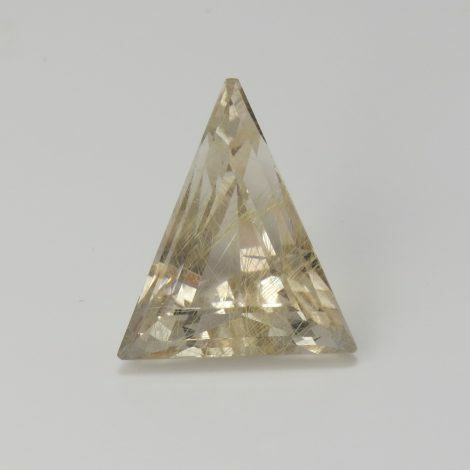 SKU: JW17510Q. 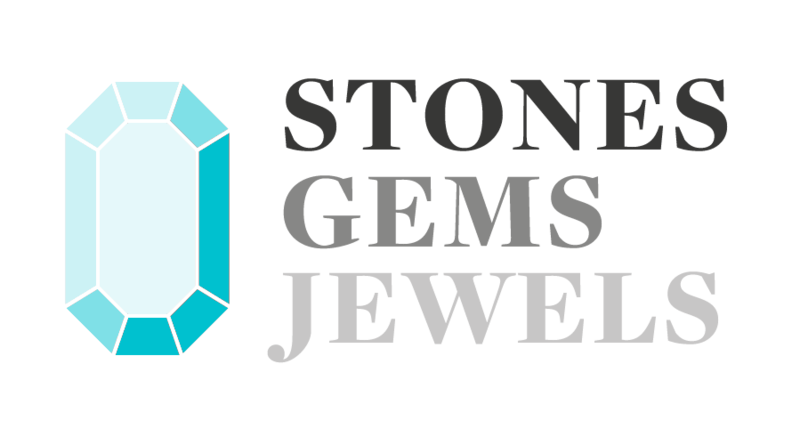 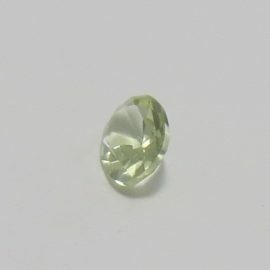 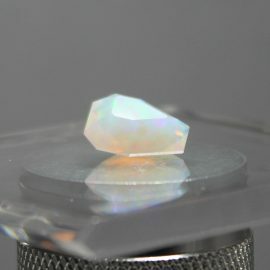 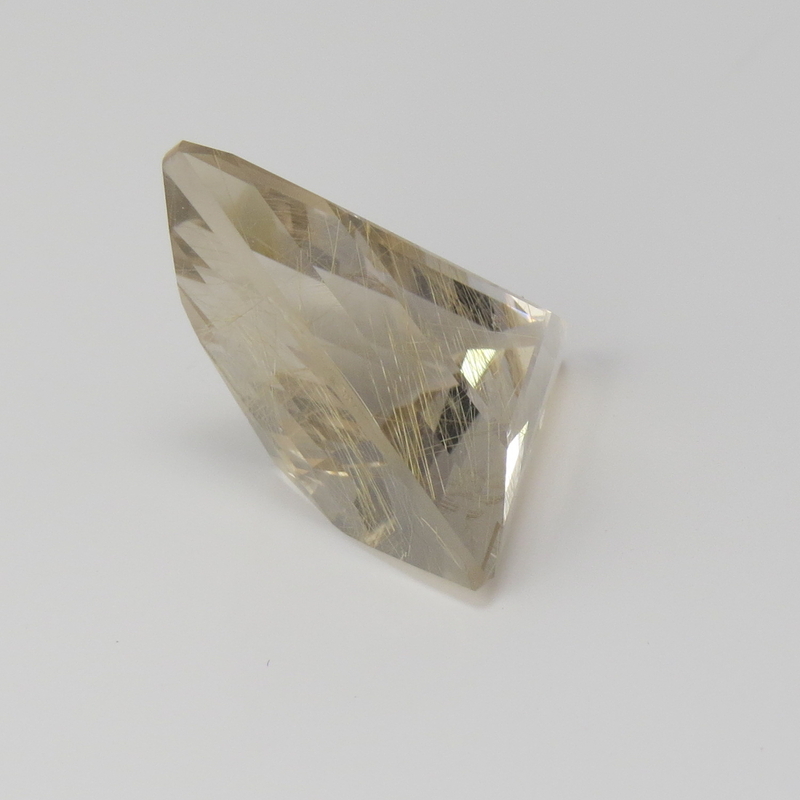 Availability: Out of stock Categories: Gems / Quartz. 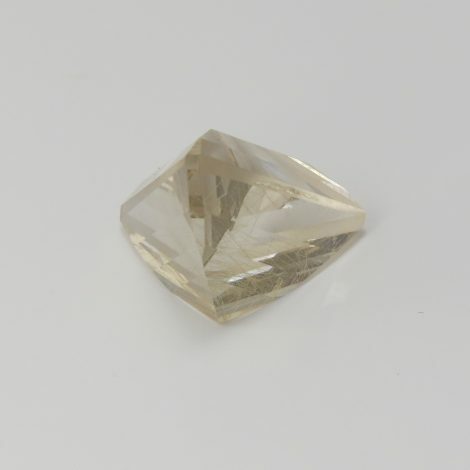 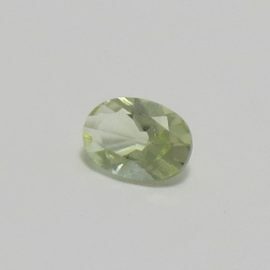 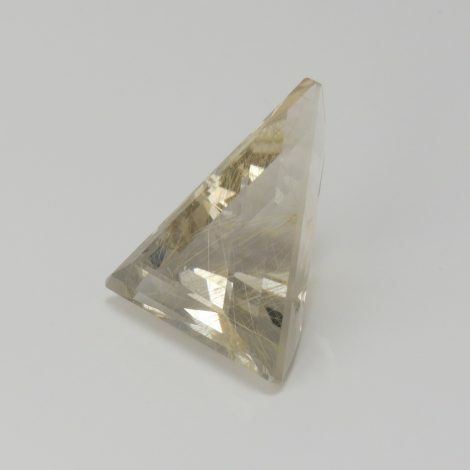 Tags: colourless / EC / rutilated quartz / step cut / triangle / Type II.